You’ve probably watched a few of our videos on YouTube or read several blogs from us providing printing techniques for your t-shirt business. But have you thought about opening up your own screen printing shop for a bigger market? If you’re looking to make this move forward, here are a few things to keep in mind. Retail spaces are not ideal and possibly not prohibited. The cost per square foot will likely be higher in a retail space than if you were in a commercial/manufacturing location. When looking at warehouse space, confirm you have access to a gas line and enough power for your shop to run at full capacity. Bonus: Gas is cheaper to run your dryer off of compared to electricity. Dryer: You’ll want a conveyor dryer that has forced air so it allows you to properly cure water-based discharge and plastisol inks. It will also allow you to cure DTG prints if you go that route as well. Screens: Invest in a high level exposure unit for your screens. LED exposure unit can burn screens in about five seconds. Other screen equipment you’ll want to look into is a washout booth, and a set up for a dark room to prepare your screens. If there is a large closet, spare bathroom or extra space, this is a great place to build that out. Having a screen printing shop doesn’t bring in much revenue unless you have great quality blanks that leave your customers happy. When purchasing Bella+Canvas blanks, you can go through distributors as well as a direct account if you qualify. How do you know if you should go through a distributor or direct? Building a relationship with both businesses is great! 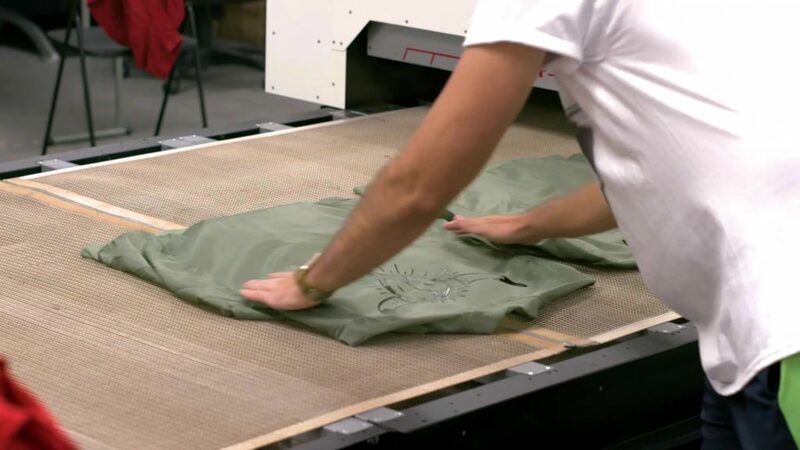 If you have orders come in that require you to print on the same garment 200 times or more, then it would be best to go through the manufacturer directly. However, if you have an order come in that asks for smaller quantities, like 5 shirts in mustard of the 3001, 10 shirts in black of the 3413 and so on, then ordering through your distributor is great because they will send it all together in one order. 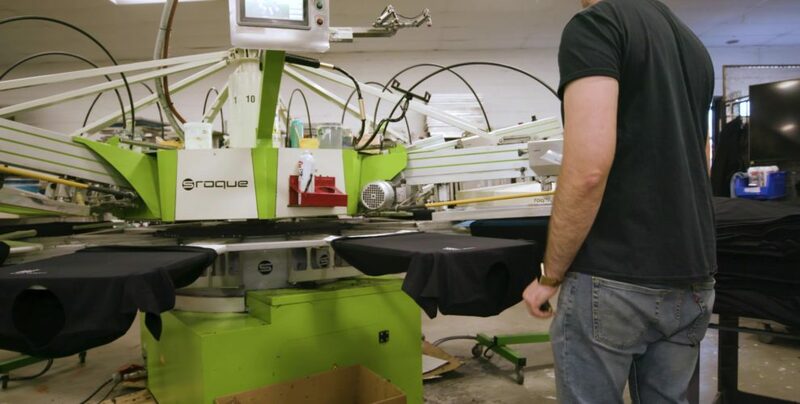 How Much Will It Cost To Open A Screen Printing Shop? Calculating expenses as well as desired profit can be tricky. A great place to start is to look at how much you want to pay yourself (salary) then add it to your overheard costs (Overhead = cost of building, paid staff, utility bills, equipment payments). From here you can work backwards by taking your desired salary + total overheard and divide by the number of shirts being printed. This will help establish what you are expecting to get paid per unit and will give you an idea if you are in a realistic price range for your local market. Also, calculate a shop hour. A shop hour = overhead (as mentioned previously) + a profit margin. 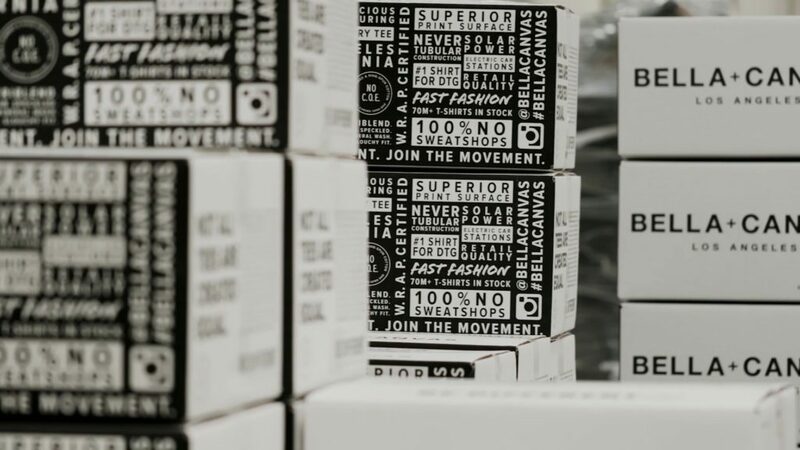 Knowing your shop hour will help you establish how many shirts you need to produce within an hour to keep up with your expenses and still come out with a profit. Was this blog helpful? Let us know if you have more questions about starting your own shop or if you have tips of your own to share, please let us know in the comments! To learn about printing techniques for your shop, visit the blogs listed here. To learn about business tools to drive your sales to success click here! Want to watch us in action? Subscribe to our Youtube channel! And as always, check out our apparel over on bellacanvas.com. See if you qualify for an account with us! Do I qualify? Cost of materials at the starting. We recommend reaching out to different printing brands for equipment! Try: Kornit (DTG), Brother(DTG), Ryonet (Screen Printing), M&R (Screen Printing), Vastex (Screen Printing and DTG), Epson (DTG).